If/when the time comes for you to run multiple websites, or even multiple businesses, you’ll need to manage and maintain them — finding balance is difficult, but improving efficiency is tougher. Instead of needing to take note of your different logins and passwords, and manually logging into each WordPress site individually, take a look at these online apps/software. They are designed to make managing multiple WordPress sites a breeze, and offer loads of other services, including keeping sites, plugins, and themes automatically updated, backups and restores, and many more. One Master Login – One key to complete WordPress management. One Click Updates – Update everything from WordPress, to plugins and themes in just a click. Backup and Restore – Instant site backups and restores in one click from the admin panel. Plugins and Themes – Install and manage new plugins and themes across multiple WordPress sites. Free Base App – Offers the base product for free for all users, although premium plans are available (see below). Tons of Addons – For specific functions, there are many addons for purchase, such as, 2 factor authentication, cloud or scheduled backups, and Sucuri Malware Scanner — more information on WordPress security here. 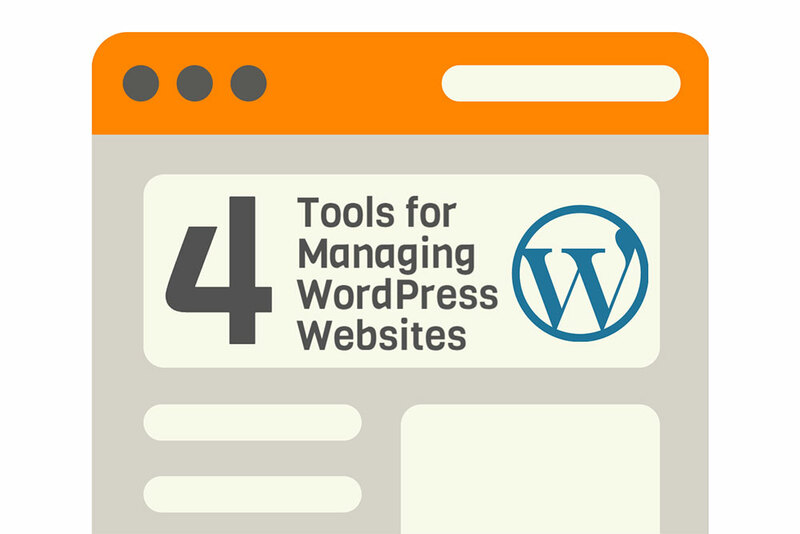 Management – All WordPress sites are accessible via one-click access. Updating and managing themes, plugins, and WordPress for your websites are also now done easily through the admin panel. Monitoring – Stay updated with server uptime monitoring and notifications (for things such as themes, plugins, backups, WordPress, etc. ), as well as traffic alerts. Optimization – Optimize your digital marketing efforts with SEO analysis tools, keyword ranking tools, and Google Analytics integration. Backups – Premium-quality backup services for all WordPress sites, as well as automated backup scheduling and total control over your backups. Deploy – The Clone tool helps you deploy content and websites. Via mass migrations, ManageWP can take all your website from one web host to another. You can also create “template” websites with pre-installed themes and plugins. Publish – Easy content creation and publishing for multiple websites in one place. Secure – State-of-the-art encryption and security standards, Sucuri.net integration, and two-factor authentication helps keep your sites secure. Free Base App – With up to 5 websites. Free Trial – Allows access to full product features for 14 days. Management – Manage WordPress websites, themes and plugins in one dashboard. Alerts you if something isn’t updated, and allows one-click access to all your sites. Upgrades – Update all sites with one click. Also, able to automate updates (so you don’t even need to manually update), as well as ignore updates. Backups – Backup all your sites from the dashboard, and even choose to exclude specific folders in the process. Allows you to schedule auto-backups and offers multiple backup options. Publishing – Easily publish content to your WordPress sites. Also, bulk post to multiple websites. Users – Manage users on your child sites, create users, and update passwords, all from the dashboard. Privacy – You’ll need to self-host on your own web hosting account. The dashboard and Child plugin are fully open-sourced. Also, no one will know you’re using MainWP unless you tell them. Extensions – Addons available for purchase to add to your product, as well as a number of free addons. Management – Bulk plugin/theme management and updates. Allows unlimited site groups to manage sites better. Updates – Automate or lock (ignore) plugin updates. Backups and Restores – Daily automated backups and fully automatic restores, as well as a system to test restore sites with your backup data. Security – Multi-factor authentication and IP address restriction, and the option to scan your sites and manage key WordPress security settings. Support – Email/ticket support, integrated into the dashboard. Table updated as of 12/07/2016. * ManageWP prices are for 5 sites, and change according to how many websites are going to be managed. Are you looking for a low-priced product? Which features stood out to you? Which one do you like the look (UI) of most? Do you want to test the product before you buy it? Once you figure out which you need most, you have your answer.